Foods that keep me in business! #1 Hard candy! Those of you that let hard candies dissolve slowly in your mouth are constantly bathing your tooth enamel in sugar which aids in the formation of plaque. The double whammy is those of you who crack and chew the candy with your teeth, not only covering the teeth in sugar but chipping and fracturing them at the same time! 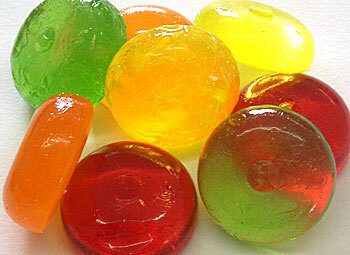 Just say “No!” to your hard candy habit and chew some sugar-free gum instead!